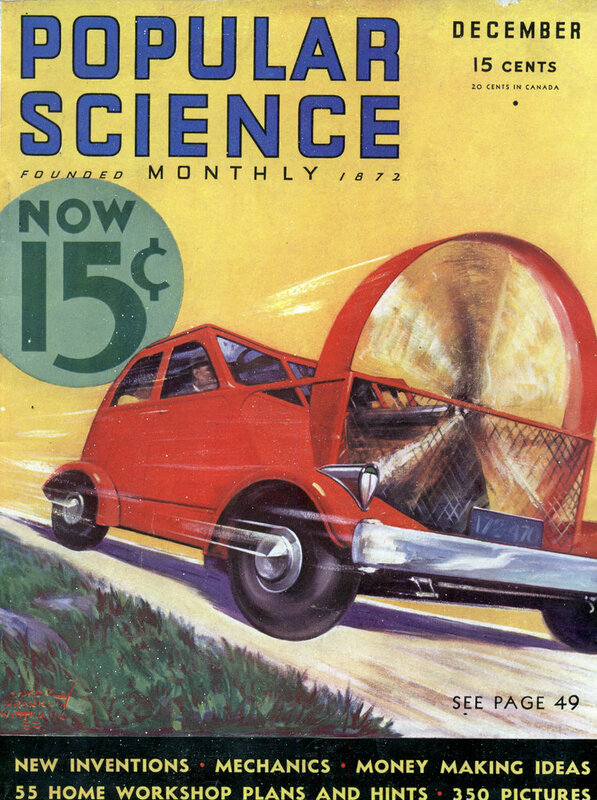 whirling propeller blades to prevent accidents. 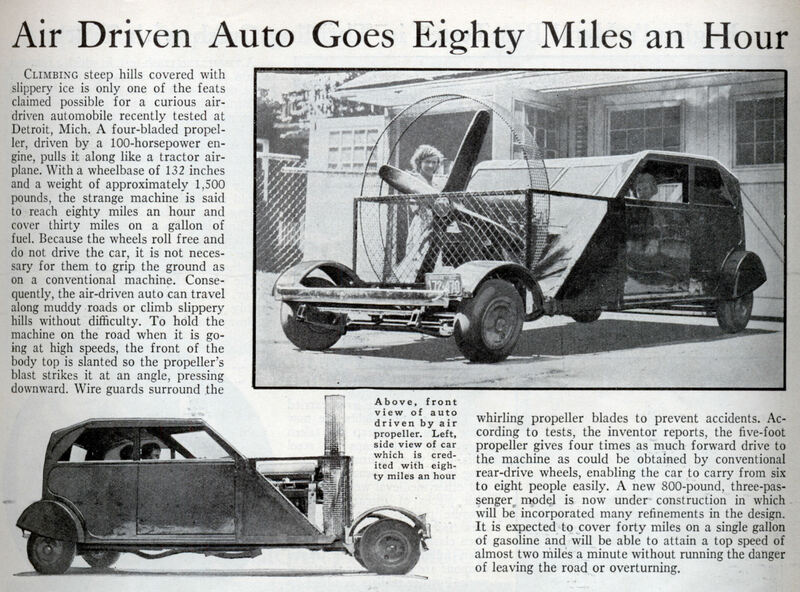 According to tests, the inventor reports, the five-foot propeller gives four times as much forward drive to the machine as could be obtained by conventional rear-drive wheels, enabling the car to carry from six to eight people easily. A new 800-pound, three-passenger model is now under construction in which will be incorporated many refinements in the design. It is expected to cover forty miles on a single gallon of gasoline and will be able to attain a top speed of almost two miles a minute without running the danger of leaving the road or overturning. i’d hate to get hit by this while crossing the street… its a rolling salad shooter. who wouldn’t want to see this coming down the street at them at 80mph?